Security that fits your needs. Comprehensive security services available throughout North Carolina. Our guards are prepared with the same training standards as the secret service, so you can feel confident in any situation. Dwayne is the CEO of Assurance Security Group and DJG Investigative Services. He founded DJG Investigative Services in 2001 to provide professional investigative solutions to business’s large and small. He has more than 20 years of expertise in investigations, loss prevention, risk management and Global Security in both the public and private sectors. Dwayne has served as President of the Board of Directors for his local Home Owners association in the town Huntersville, NC. An organization in a planned community in which community volunteers work together with all residents of the community to manage common areas and maintain the overall appearance of the community. During his time as President, Dwayne successfully orchestrated volunteers with in the community to work with all other surrounding communities, small businesses and local government for the betterment of all residential communities in the town. He currently resides in Huntersville, NC with his wife and family. Chris is the Vice President of Business Development for Assurance Security Group and DJG Investigative Services. 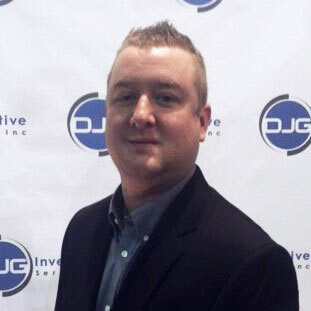 He joined DJG Investigative Services in 2016 to oversee client retention, customer service and increase sales revenue for the company. 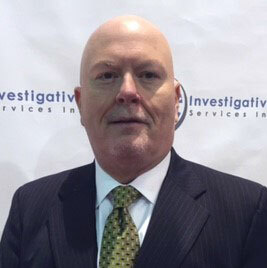 He is a former Mecklenburg County Deputy Sheriff , who has a solid background in investigations as a licensed private investigator and has proven marketing and sales experience in the industry. Chris has received an Associate of Arts and Sciences (A.A.S. ), in Criminal Justice and Law Enforcement Administration and was BLET certified. In his free time Chris enjoys volunteering his time to help people in his community. He currently resides in Cornelius, NC. Have any questions or interested in a quote? Please fill out the form or contact us by phone or email. © 2018 Assurance Security Group, Inc.